Outstanding studio disc by this awesome blues/rock guitarist from Austin, Texas that defines true guitar rock excellence. Includes 18 tracks (79 Minutes) of superb, top-shelf, blues-based, soul-powered, dynamic heavy guitar music that lands impressive with endless amounts of sophisticated six string style, class and substance. Ulrich Ellison, originally from Austria, is a world-class, legit, talented guitarist who speaks the same musical language as the guitar hero greats. 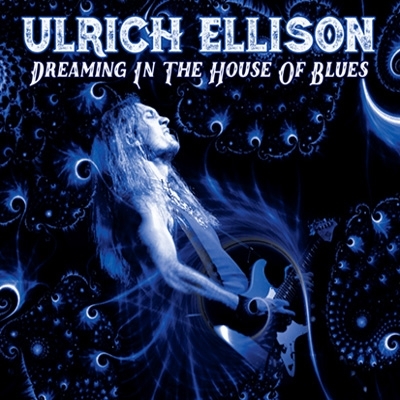 Complete with strong songwriting skills, soulful & melodic vocals, organic "old school" guitar tones and a 1st rate retro sonic production, the Ulrich Ellison - "Dreaming In The House Of Blues" disc stands tall and is Highly Recommended to world wide fans of Warren Haynes, Joe Bonamassa, Doyle Bramhall II, Eric Johnson, Robin Trower, David Gilmour & Eric Clapton.